My district began a push towards differentiated math instruction in the form of ability grouping about 3 years ago. It was our first period of the day for 20 minutes which was tough since I believe that a morning meeting is so important. Last year, we divided our students up by low, average and high ability math learners and we moved them into classrooms based on ability. One teacher worked with the high achievers, one teacher with the average, and so on. No matter how we did it adding on an extra math push was a lot of work. It meant extra planning, extra time, and extra work. Fundamentally it was a great idea but realistically it was really hard trying to find the time both for the implementation and the planning. It was clear my district was not letting the idea go and it was also clear that the students were benefitting from it. So the question remained.... how was I going to make this work? How could I reach the need of all my students? How could I use best practices to reach each student at their ability level since their needs varied so greatly? This year, I started implementing a math workshop model (you can find some examples of what we have been doing under the heading "math workshop" under the list of topics on the side ). I will never teach math another way again! The kiddos are invested, I am able to differentiate my math instruction in a richer way, and after given them their second math assessment I am blown away! I am seeing so much more progress using a math workshop model than I ever have before using whole class instruction. I have also solved my Plus Groups problem (the name my district gives for those ability math groups). I have about a 45 minute to one hour block for math daily. Some days, due to our specials schedule I only have 30-40 minutes a day. I do a 15 minute math lesson from our math curriculum and then break my students up into 5 math rotations (or centers). The rotations include: math with my teacher (cue in- Plus groups), math with someone (usually a game from our math curriculum), math by myself (math journals), math with iPads (I have 4), and a fluency station to work on timed addition and subtraction fact fluency. I am able to fit in 2, sometimes 3 rotations a day. The next day, we review the previous day's mini lesson and the other groups rotate to the stations they have not been to yet. The following day, when I start a new mini lesson from our math curriculum, there are new stations. I have learned how to keep my prep at a minimum. I learned this the hard way. I started off with high hopes and was creating different games every week. Who has time for that?! The iPads never change-so that's easy. My math fluency station never changes either. Each student has a math fluency folder that contains an addition/subtraction practice page and a one minute fluency wheel that I laminated so they can re-use them each week. These are great! I got them from Teaching Sweet Shoppe. The fluency program contains board games, minute wheels (which I use with sand timers), sand timers and more. I love how I can easily assess progress with the timed fluency test each week. When a student has mastered a level, they move up to the next level. Her product contains an excel sheet for recording scores easily too. I'm telling you- it's fabulous! The programs come in a variety of grade levels. 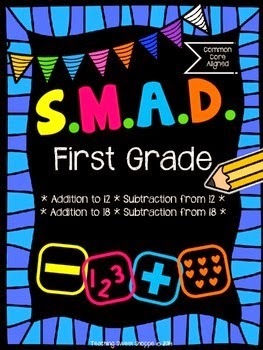 This is great for even those kiddos that may be slightly below or above grade level. Ok...where was I? Oh right...that leaves- math by myself which is always our Everyday Math Journals. 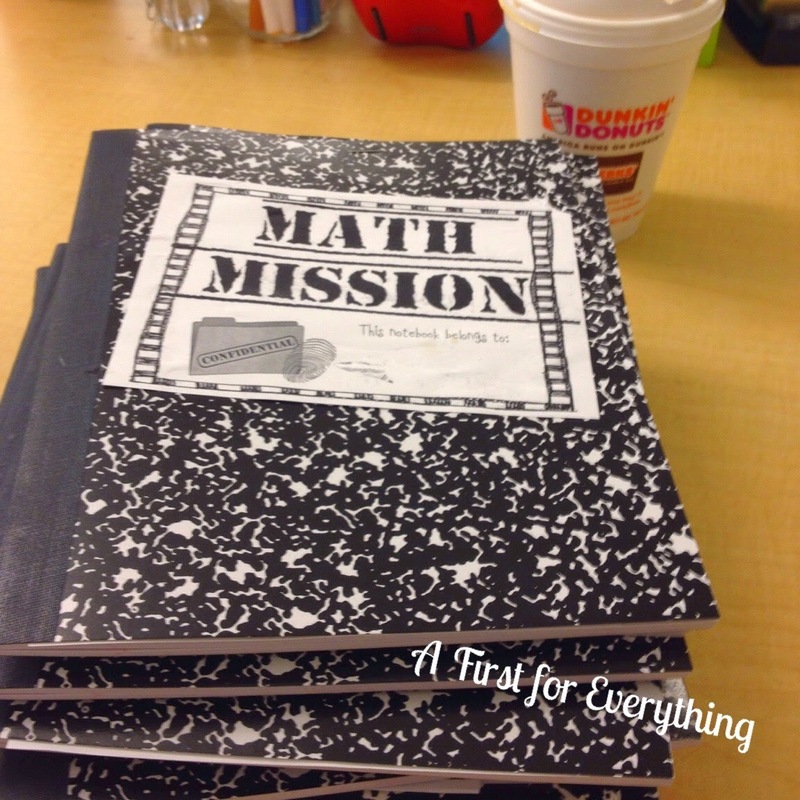 If the kiddos finish early they can work on their Math mission notebooks which I purchased from Cara Carroll. That leaves my last rotation which is math with someone. This is usually a game from our Everyday Math program. Sometimes if we are in need of a change, I purchase from TpT. 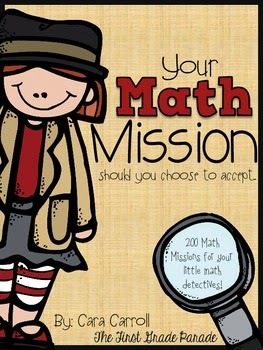 Teach with Laughter has some awesome math games. I love them not only because they are fun, motivational, and engaging but they also come with pictured directions so the kiddos don't need to interrupt me when I'm working with my math groups to ask how to play. Love that! The needs in my classroom vary greatly, as they do in most classrooms. I have some kiddos that know time not only to the hour and half hour, but also by minute. I also have some that aren't able to recognize numbers beyond ten. This is when "math with my teacher" works out so wonderfully. I am now able to meet me students where each of them are at. For example, this week with my high flyers, we used coins to show various amounts to "purchase various items", with my low and average groups we reviewed touch money so that they learning the value of each coin. 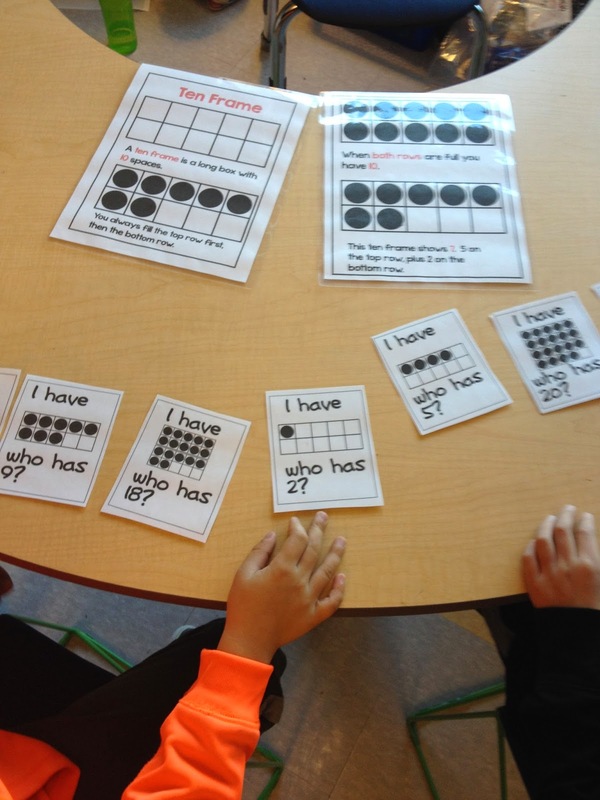 I am also working on number identification and number discrimination with my kiddos that need help with that. 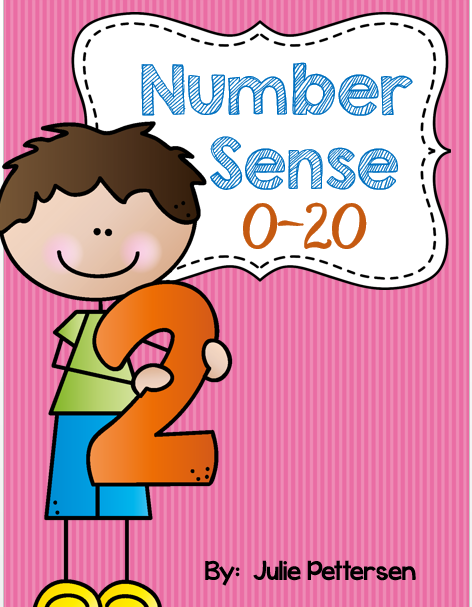 My Number Sense 0-20 product has really helped! 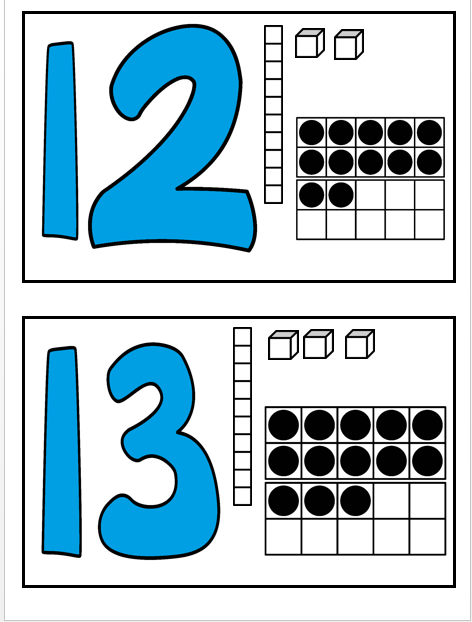 We review the 0-20 flashcards each day that show each number and the its value on a ten frame and with base ten blocks. We then use ten frames and base ten blocks to show these numbers and number values. As part of our math ability groups, we are required to provide practice with open response math problems. 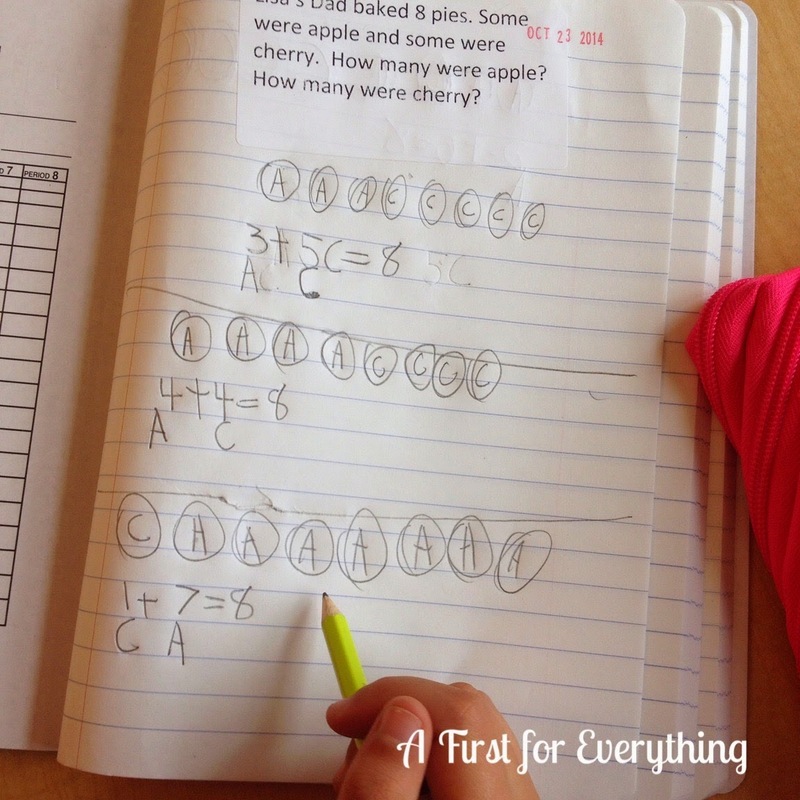 Students need to be able to explain how they go their answers. 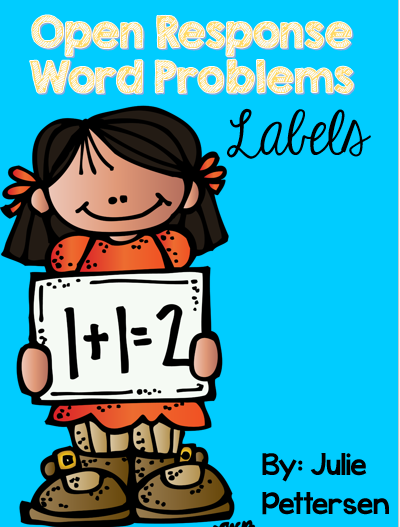 My school provided us all with composition notebooks and after fighting with cutting and gluing and pages sticking together, I decided to create some open response word problems on Avery labels that we could just stick in our math notebooks. This saved time for both my students and me! Not to mention, it just looks neater! These labels are available in my store if you find them helpful. 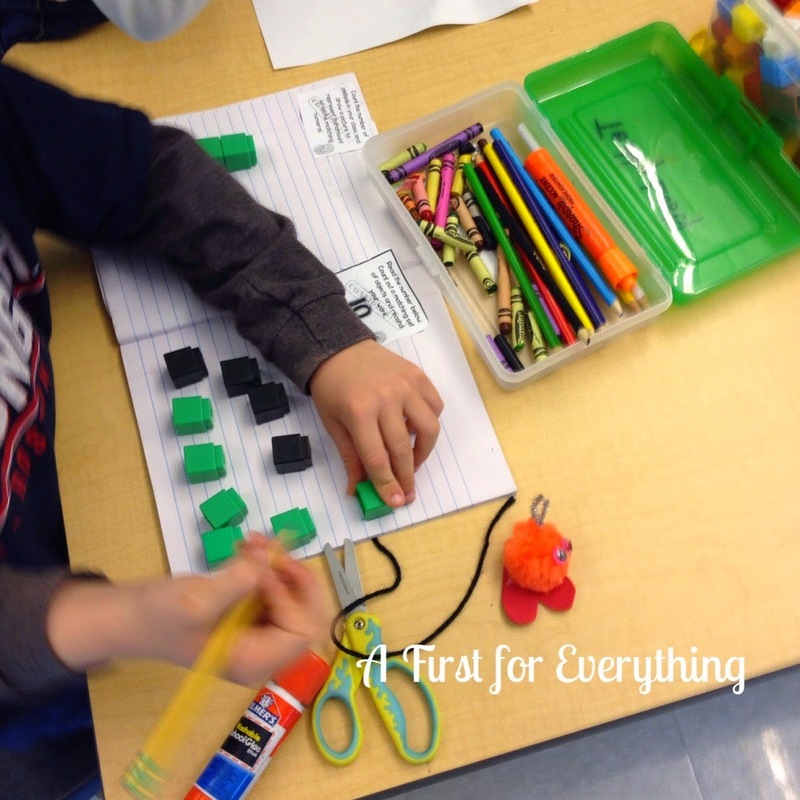 I'm two months in to incorporating a math workshop model and I love it! I don't ever want to go back. I truly believe it is best practice. 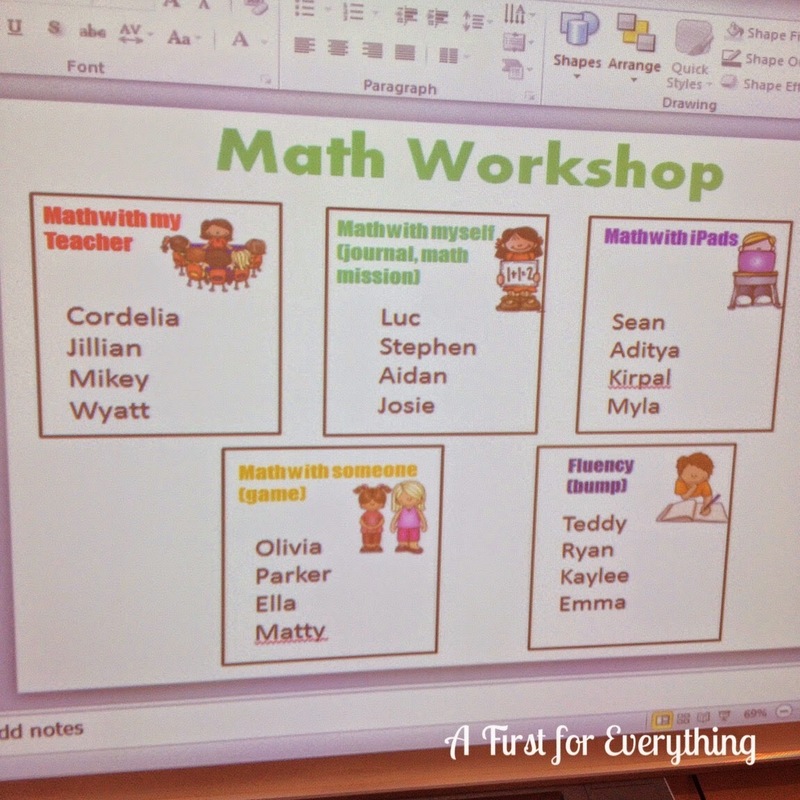 Do you use a math workshop model in your classroom? I'd love to hear about it because I always learn so much from you. I'd love your comments! I too, use Everyday Math with 1st graders. How do you fit in the lesson in only 15 minutes? I know you spend the 2nd day reviewing but do you finish teaching all of the units by the end of the year?